Yep, you read right, Scooby Doo. I originally purchased this not just because I did say I was going to watch and review every zombie film ever, but I fancied something a bit lighter, whimsical and something I could watch with the kiddies. Obviously I got all the light and whimsy I was expecting, but what I wasn't expecting was a genuinely coherent suspenseful and interesting narrative that could easily hold its own with any other film I'd watched, with shocks, real horror and a deep symbolic subtext about the journey from child to adulthood. The gang are back together, literally. 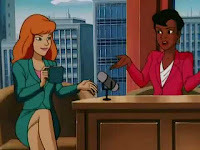 Years after dissolving Mystery Inc. and going their own way, Fred now the producer on 'Coast to Coast with Daphne Blake' decides to bring the group back together for a trip to Louisiana to help Daphne and her goal to find and film a real mystery. 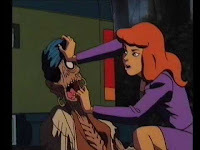 Daphne has become disillusioned with how every supernatural mystery always turns out to be just illusion and trickery and some guy in a mask motivated by greed. Velma a mystery book store owner, Scooby and Shaggy recently sacked from an Airport security position for eating all the confiscated food, all jump at the chance to get back onboard The Mystery Machine and they head back out for adventure. 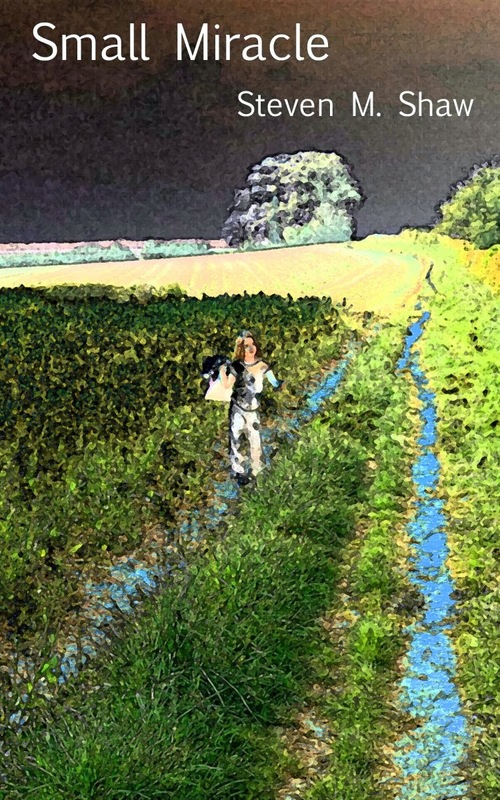 Predictably things return swiftly to how they were before. 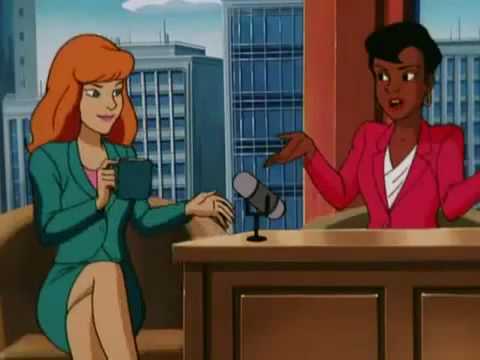 Villains are unmasked, mysteries are solved and it's as if nothing has really changed; there are certainly no real supernatural shenanigans for Daphne to report on. Until that is, a chance encounter with Lena, an alluring young lady in New Orleans, who believes she has a solution to their problem and invites them to Moonscar Island and the home of her employer, Simone Lenoir, where she says, they can witness the antics of an allegedly real ghost, the long dead pirate Morgan Moonscar. 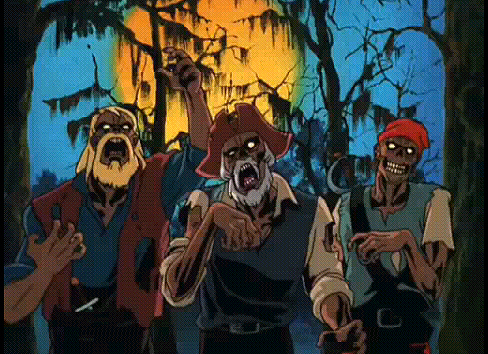 After a tour of the house, some supernatural warnings telling them to leave and a series of eventful encounters Scooby has with the multitude of cats on the island, Scooby and Shaggy, separated from the rest of the gang find themselves running for their lives through the New Orleans bayou from Morgan Moonscar and his resurrected zombie pirate gang. Out to rescue them Daphne and Fred manage to snag themselves a zombie and in a then in a sudden whoosh and a whirl everything gets turned around on its head. It's a profound moment of realisation not just for children but for adults. Try as he might Fred just can't get the zombies mask off. He's the janitor or the old headmaster or the gardener? No, he's a monster and he's real; monsters are real. Everything up to this point had been playful, safe and could be explained and suddenly you realise the gang have grown up and there isn't always going to be a happy ending. They're no longer those meddling kids, they're adults with jobs, dreams, futures and uncertainty and danger. There's a symbolism of the transition from child to adulthood, learning that Father Christmas isn't real and that monsters are, and it's a pivotal moment for the franchise. Nothing can ever quite be the same again; childhood innocence is lost in a second. Now the illusion is shattered though, anything goes and the writers can play with a narrative that is no longer constrained, where things don't have to be structured in such a way to be explained at the end and the film can embrace a new found freedom. So before saving the day, as well as zombies we're thrown voodoo dolls, ancient cat gods, vampirism, lycanthropy and even a flirt with the idea of romance and relationships. Our gang has gone and got itself all grown up. An interesting feature of the zombies is actually they're the good guys. 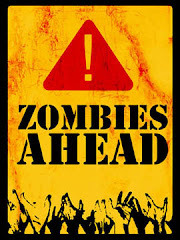 They're authentic, shambling, scary looking, definitely dead and would fit neatly into any zombie film and it's a clever narrative twist for a film targeting to children to turn things on their head and make what appear to be the bad guys actually good. Not to break with tradition too much though, later we discover the main villains were under the gangs noses the whole time, just this time there's no masks coming off. 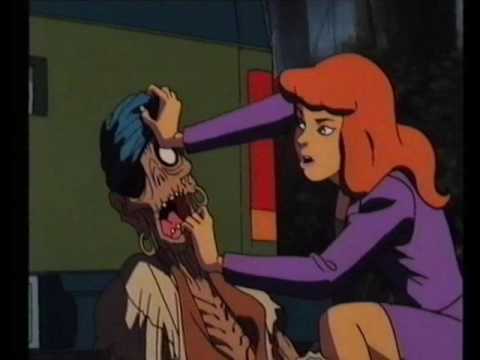 Scooby-Doo on Zombie Island is still a Scooby Doo film. It's an animated box of fun with jokes, gaffs and hilarious set pieces and a joy to watch for both children and adults. It's also easily the best Scooby Doo film I've seen with a narrative and story streets ahead the recent live action films. Whilst the animation is traditional Warner and basic, it's full of warmth and wit, and proves you don't always need an animation team in the 100s and access to super computers to put together a top drawer cartoon. 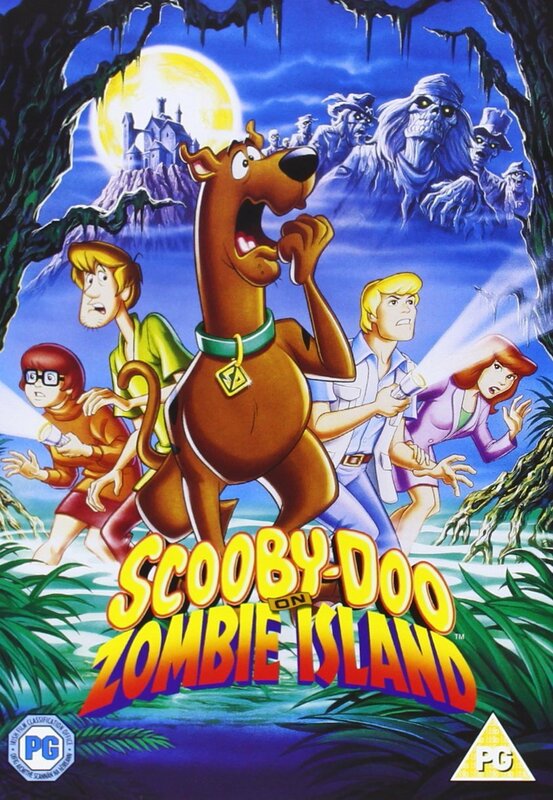 A great Scooby Doo film and a great Zombie film; Scooby Doo on Zombie Island is dramatic exciting adventure full of all the jokes and scrapes you'd want; but it's more, it's a coherent intelligent narrative and a profound reflective memorable experience, 8/10.